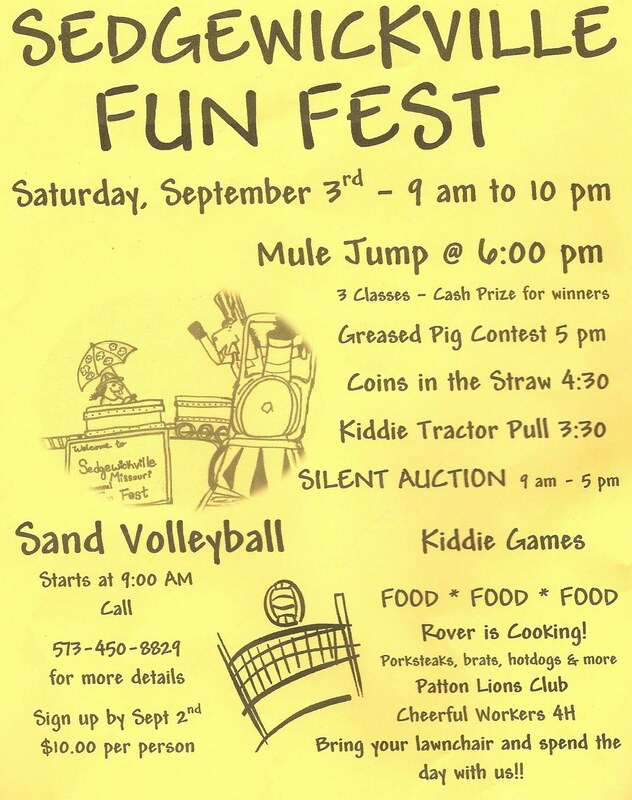 The Folks in the Sedgewickville, MO community would like to invite you out to a fun day at their 9th Annual Sedgewickville Fun Fest! 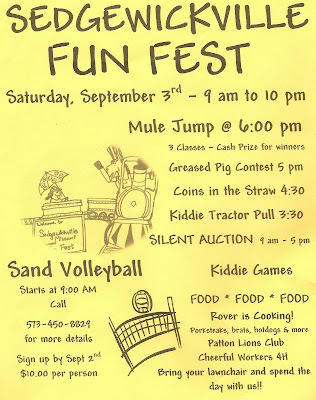 Spend the day playing sand volleyball, chasing greased pigs, sign the kiddos up for the kiddie tractor pull, enjoy some good food, and finish the evening off by cheering on the mules in the mule-jumping contest! The fun starts at 9 am on Saturday September 3rd and runs all day! Are you having the car show this year?